Do you remember these cases? For a relatively small country, Malaysia has sure seen many high profile cases. Some are only known locally, while others garnered international attention due to the its scale or involvement of other countries. Here's a look at some of the more interesting of the cases. 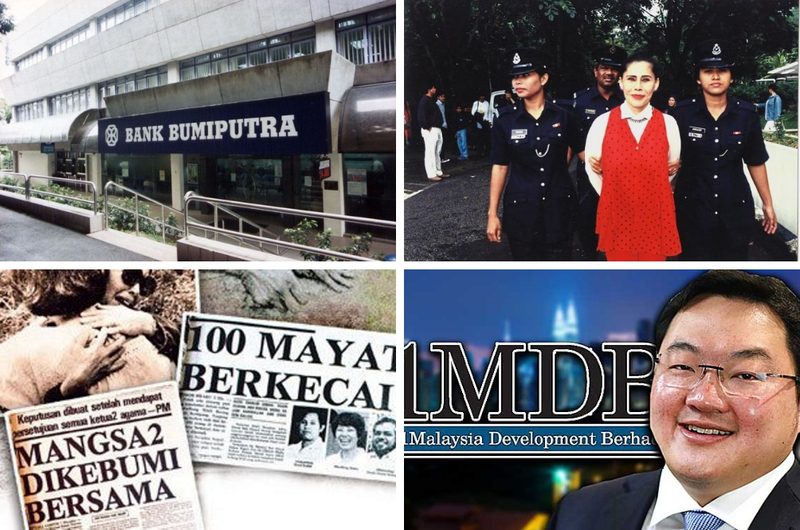 Long before the 1MDB scandal hit the country, there was the Bumiputra Malaysia Finance (BMF) case in the 1980s which also involved the Malaysian people's money. It's a pretty long and complicated story that you can read fully here. The gist of it is that Bank Bumiputra Malaysia Berhad (BBMB), the parent company of Hong Kong-based BMF, lost $2.5 billion (local currency was still known as Malaysian Dollar then) which it had loaned in stages to Carrion Group (a company run by a guy named George Tan). The money was invested in Hong Kong's property market that saw profit initially, but later went bust. This is when a huge can of worm was opened. It was learned that BBMB was basically bank rolling Carrion Group, and the loans were given out without due process or approval. During investigations into the case, it was also discovered that at least half of the loaned money was not accounted for. The company is a "two-dollar" company as we learnt here; which means the company was established with a two dollar investments. So, if the company owes any money to a third party (in this case, BBMB) it only has to pay two dollars back. But what has this scandal got to do with the Malaysian people? Well, BBMB was started to help the Bumiputra in the country and 70 per cent of its share was held by Permodalan Nasional Berhad (PNB). Which means a huge part of the $2.5 billion loss that the bank absorbed and an additional $600,000 that PNB later gave the bank to save it from plummeting stock market came from taxpayer's money. Who paid for the crime? George Tan was declared bankrupt and sentenced to three years in jail in 1999 after numerous and lengthy court cases. BMF's chairman Lorraine Esme Osman, who maintained that he was innocent, was jailed seven years in England and another two months in Hong Kong. BBMB and BMF director Datuk Hashim Shamsuddin was initially sentenced to four years in jail for fraud and corruption in Hong Kong, but his sentence was later increased to 10 years by the court of appeals. BMF director Datuk Rais Saniman ran away to France but was later extradited to Hong Kong to face trial which landed him in jail for five years. 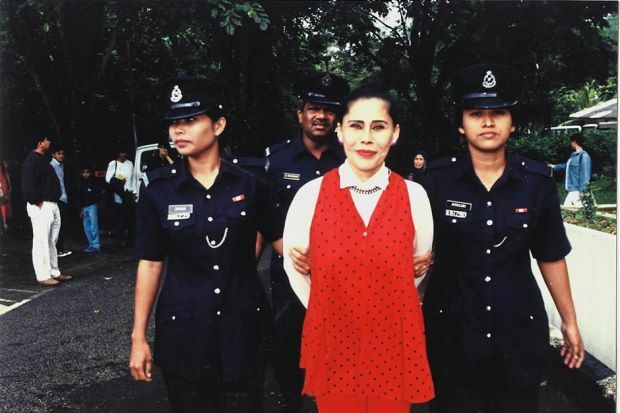 Murders, unfortunately, isn't all that rare of an occurence but one case that happened in the mid 1990s has captured the imagination of many Malaysians and continues to be a topic of interest till today - thanks to one of the main players in the gruesome murder, Mona Fandey. Throughout her trail for the murder of an assemblyman from Pahang, Mazlan Idris, Mona Fandey seemed to enjoy the spotlight - always dressing in bright colours and smiling for the camera. Mona Fandey, whose real name was Maznah Ismail, was a singer in the late 1980s, but switched careers when she realised she'll never attain the kind of fame she aspired to. Together with her husband Mohamad Nor Affandi Abdul Rahman, she started a lucrative 'bomoh' business. That was how the couple met their victim, whom they murdered with the help of their assistant Juraimi Hassan. Not only did the trio murder Mazlan, they also beheaded and chopped his body into 18 pieces, some of which were never recovered. All three were convicted of the murder and sentenced to death. However, it was Mona Fandey with her eerily cheerful demeanor and her last words "I'll never die" that has kept people talking 20 years after the murderers' death. You can read more about her gruesome murder case here. Not only was the hijack and crash of MH653 the first of such cases in the country, it's also an unsolved case that baffles many even today. On the evening of 4 December 1977, the flight ferrying 93 passengers and seven crew departed from the Penang International Airport towards Subang International Airport. The plane, however, never landed as there was a report of unidentified hijackers on the flight. The plane was diverted towards Singapore, but crashed into a swamp in Kampong Ladang, Tanjung Kupang, Johor. Everyone in the plane died and the bodies found were unrecognisable. Among those who perished were Agricultural Minister Datuk Ahmad, Public Works Department Head Datuk Mahfuz Khalid, and Cuban Ambassador to Japan, Mario García. Till date, nobody know the reasons for the hijack or the people behind it. 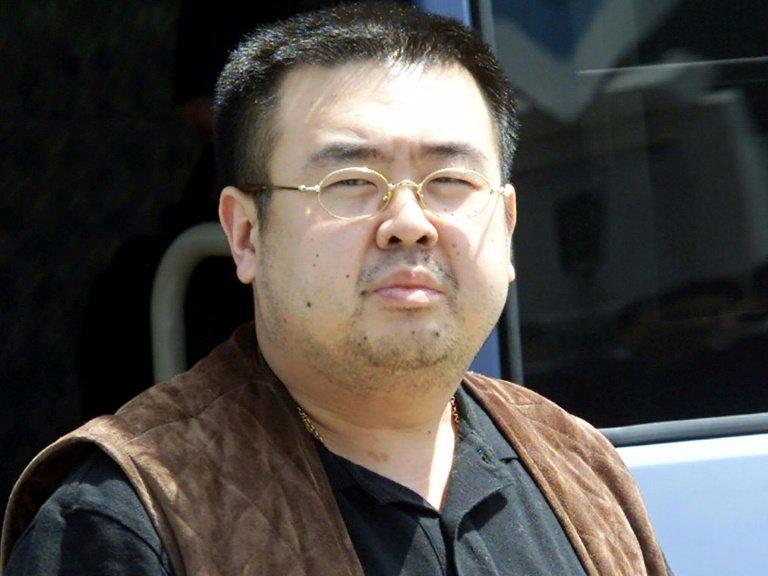 The murder of North Korean leader Kim Jong-Un's half brother, Kim Jong-Nam, garnered much attention when the latter mysteriously collapsed at the Kuala Lumpur International Airport (KLIA) after being 'touched' by two women. It was later revealed that the women - Indonesian citizen Siti Aisyah and Vietnamese national Doan Thi Huong - smeared VH (a deadly nerve agent) on Jong-Nam's face, killing him within minutes. The case is still an ongoing court case and both women pleaded not guilty. They claimed to have told that they were a part of a Japanese prank show and did not know that the substance given to them could kill somebody. Authorities, however, say the attack couldn't have been done without training. Four North Korean men - Hong Song Hac, Ri Ji Hyon, Ri Jae Nam, and O Jong Gil - were also named as suspects but are still on the run. Who doesn't know about the 1MDB scandal that changed the Malaysian political landscape and garnered international attention? 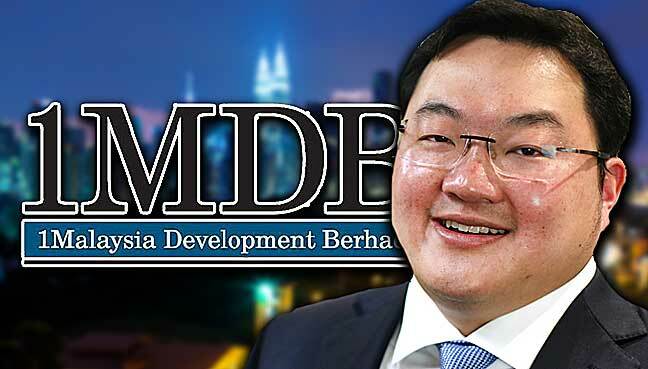 If you need a refresher, 1Malaysia Development Berhad (1MDB) is a state-owned investment fund formed by the government in 2009 to attract foreign investment and replenish the country's coffers. It ended up 'losing' billions instead, allegedly with the help of some people in high places across several countries and fugitive Malaysian businessman Low Taek Jho (Jho Low). The entire scandal baffled many, largely due to the magnitude of it. 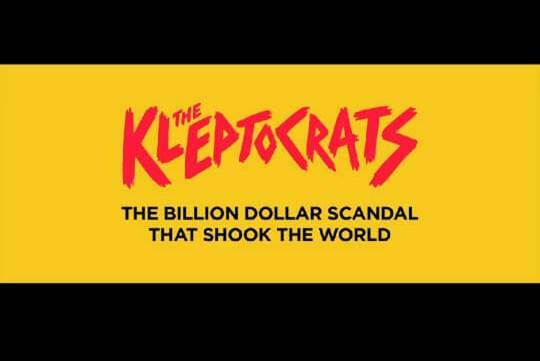 It's a little bit hard to explain the entire scandal, but 'The Kleptocrats', a documentary on the billion dollar scandal that shook the world, which you can catch on Astro First (Astro Ch480), On Demand and Astro Go, would explain the entire scandal down to the dot. For non-Astro subscribers, please visit this site. You can also find more information here. Anugerah Pengubah Digital Di Malaysia Milik Astro!